Hi lovelies, have you prepared for the upcoming festive season? I have been hopping around different online shopping websites and notice that they have rolled out loads of new arrivals for this season. Now...how to shop without burning a hole in the pocket? It's time to use RebateMeNow service! 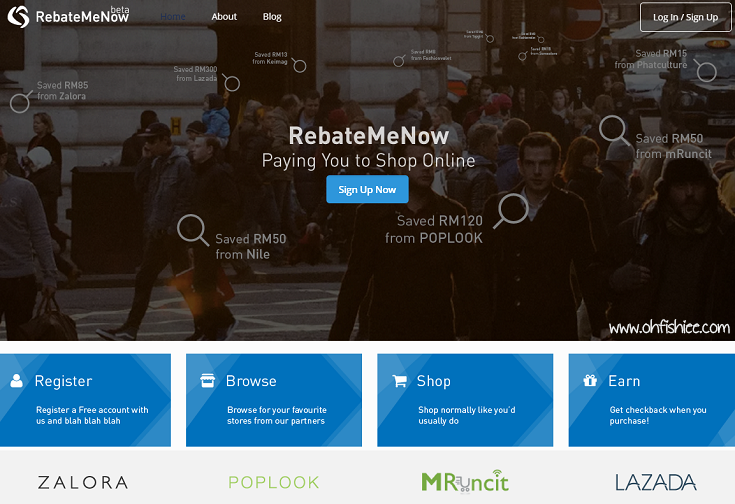 RebateMeNow is a free service that helps you save a little money during online shopping. You must be wondering how... All the online stores partnering with RebateMeNow is rewarding us with "commission" for shopping with them. Head to RebateMeNow website to sign up a new account / Login with Facebook. It's so easy as it doesn't require much information, just email and password will do. 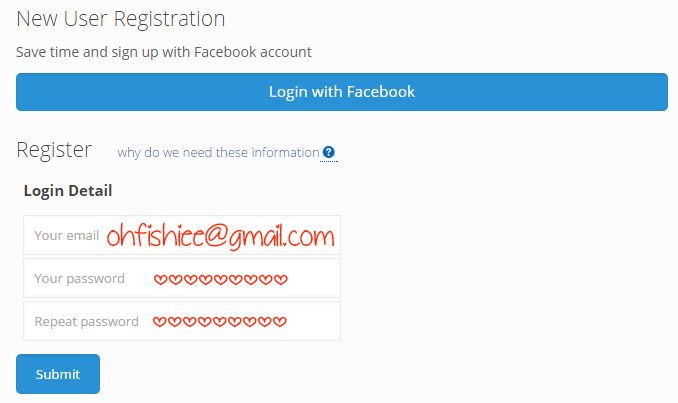 Upon successful signup, you can login into the website. On the list of merchants in RebateMeNow, I spotted my favourite shopping sites such as ZALORA and KeiMag!! If you're wondering how much "commission"/rebate you'll get, it is indicated at the "Cashback" column. 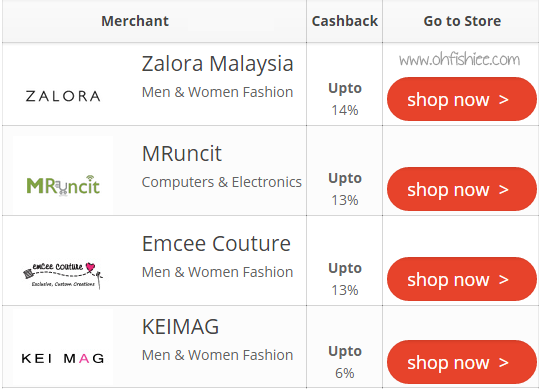 For every Ringgit spent at Zalora, you can get back 14% of it! Cool right? Just click "Shop Now" and you'll be redirected to the respective website. Always remember to click to a store via RebateMeNow link and complete your purchase. 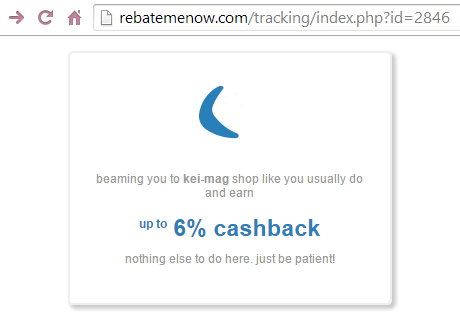 The clever system then tracks your visit and once the retailer has confirmed a sale, RebateMeNow will put the cashback into your account. If you click through RebateMeNow and make a purchase, then surf elsewhere on the Web and return to that store and make a second purchase, your second purchase will not earn a cash back reward. If you use multiple windows on your browser, the window in which you shop at the store must have come from an RebateMeNow link. Also, while virtually all product purchases at the stores are eligible for cash back, there are a limited number of products that do not qualify for cash back. Awww....shopping has never been so fun! The more you buy, the more cashback you'll get! Usually RebateMeNow needs 7 to 45 days to confirm your purchase with the merchant, in case of any refunds or failed transactions. 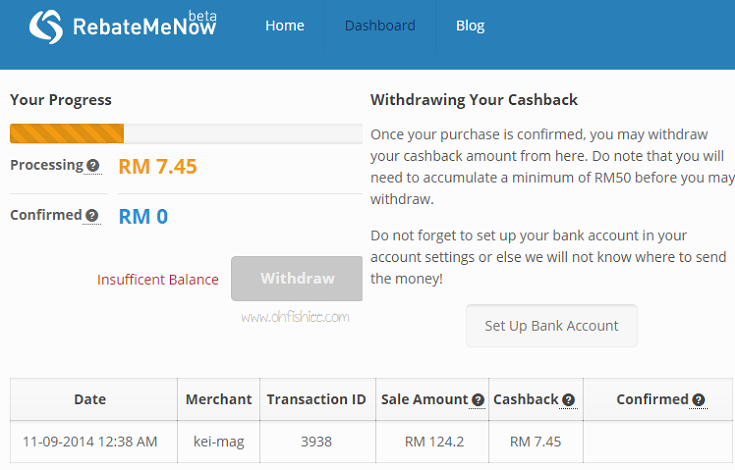 Once the confirmed amount reached RM50, you can click "Withdraw" to transfer the money to your bank account. Q: What if I want to return or cancel an order? A: RebateMeNow will reverse any cash back earned from that sale. Q: How do I withdraw my cashback account? A: Via PayPal (Malaysia + International) or Wire Transfer (Malaysian Banks). Q: Is there any hidden costs or catch for using RebateMeNow? A: No! It is free to use and free of hidden costs. Q: Is it safe and secure to use RebateMeNow? A: Yes. It uses SSL (Secure Socket Layer) 128-bit encryption, which guarantees maximum security. Q: Does your cashback work on discounted items or coupon codes? A: Yes! You can use vouchers or coupons and still earn cash back! Q: I own my own online business, can I be part of RebateMeNow? A: Yes! RMN is built on top of the ShopStylers Affiliate Network. To get featured on RMN, please sign up as a merchant here. What are you waiting for? Keep calm and start shopping via RebateMeNow! this will be good for those who looks to save a few bucks while shopping online kan?